When we think of running injuries we immediately think lower extremity, IT Band syndrome, Patellofemoral Pain Syndrome, Achilles Tendinopathy, Medial Tibial Stress Syndrome, Plantar Fasciitis, and the like. However, one of the most common and debilitating injuries in runners is low back pain. So why are runners so at risk of developing low back pain? Most musculoskeletal injuries are multifactorial, but more often than not many chronic injuries result from underlying movement dysfunction. Vladamir Janda (1928-2002) revolutionized human movement dysfunction and rehabilitation in 1979 when he described three compensatory movement syndromes. These syndromes were a result of pattern overload (i.e. running) and static posturing. Janda recognized that certain muscles were prone to weakness while others were overactive. He continually investigated these movement syndromes and later learned that the muscle imbalances were systematic, predictable, involved the entire body, and a common cause of injury. Since Janda introduced this topic research has continued to answer what and why questions surrounding these compensatory patterns. We have learned hypertonic / hypotonic muscles and the delicate interplay they have on integrated functional movement. For those who have developed low back pain, I’d like to highlight three specific muscle battles that can be found in many individuals with low back pain. It is a battle of muscle supremacy, good vs evil, where evil prevails and injury trails. Latae (TFL) work synergistically to generate hip abduction, the glute medius provides femoral external rotation while the TFL does internal rotation. 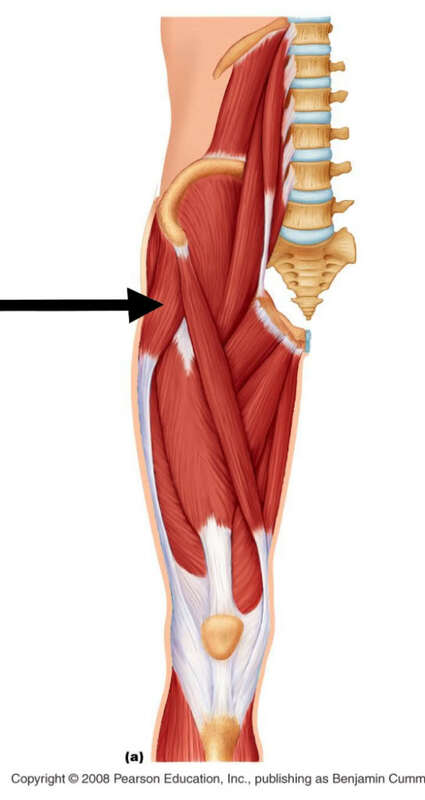 Additionally, the TFL is a hip flexor while the glute medius is a hip extensor. The problem is the TFL often wins the battle of supremacy of these two. The hypertonicity of the TFL and hypotonicity of the glute medius results in excessive femoral internal rotation, excessive hip flexion, and excessive anterior tilting of the pelvis. Early in Janda’s study he found subjects without activity in the gluteus maximus during hip extension movements. This is what actually formed a lot of his later work. The glute max and iliopsoas are true antagonists of one another. The glute is responsible for hip extension, external rotation, posterior pelvic tilt, and to a small degree, hip abduction. The iliopsoas is a strong hip flexor, with external rotation, trunk flexion, lateral trunk flexion, hip adduction and anterior pelvic tilt. The Iliopsoas wins the battle of supremacy. The outcome of this battle is anterior pelvic tilt, increased lordosis, hip flexion and hip adduction. The erector spinae, as the name indicates, extends the spine. The erector spinae is also responsible for anterior pelvic tilting, and will laterally flex and posteriorly rotate the spine to the left or right when activated unilaterally. 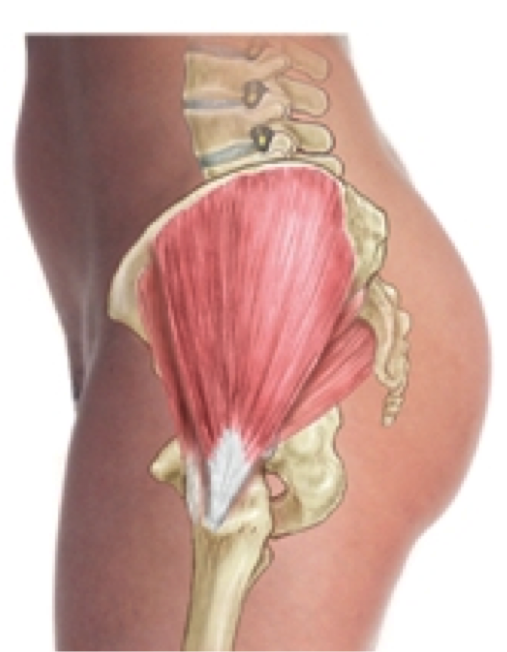 The intrinsic core stabilizers have a lot of muscles—transverse abdominus, internal oblique, transversospinalis group (multifidi, rotatores, semispinalis, interspinalis and intertransversarii), and pelvic floor muscles—far too many to type out the isolated functions of each, but as a unit, they stabilize the spine and pelvis. Evil wins again, resulting in spinal instability, increased spine lordosis, and anterior tilting of the pelvis. When combining the repetitive motion of running with static posturing associated with daily living, evil is able to dominate good. Secondary to our repetitive motion of runners, coupled with static posturing of our activities of daily living, evil has been allowed to dominate good. So, what is the final outcome if evil continues to prevail? We develop movement impairment syndromes that bring about a significant risk of injury, including low back pain. It’s time to take charge and inhibit the evil-doers from dominating human movement. Through corrective training we can bring calmness over the evil and raise morale of the good. Hopefully, we can bring these two groups together and work harmoniously. In doing so, runners can work toward optimal movement efficiency thereby preventing injury and improving performance. **If you have musculoskeletal pain that you think may be a result of movement impairment syndrome, please contact me for a free evaluation. This entry was posted in Fitness Training, Injury prevention, Low-Back, Running, Sports Medicine and tagged anterior pelivic tilt, Glute medius, iliopsoas, Janda, low back pain, lower crossed syndrome, Runners, Tensor Fascia Latae, weak glutes on January 31, 2014 by Joshua Stone. Great post! Love the good vs. evil breakdown! How are you assessing these in your practice? I do a combination of assessments: static, dynamic, passive, FMS, and NASM. Usually client specific. Great post! As an acupuncturist that focuses on Sports medicine this is such a common presentation that I see in practice. Thank you. It’s common in many clients with chronic low back pain or lower extremity dysfunction yet many fail to treat it.